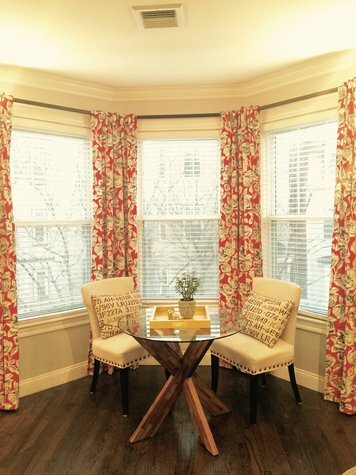 Interior design sample by Kerry Z.
Kerry has a Bachelor of Science in Interior Design from Indiana University. Right out of college, Kerry worked in Milwaukee, WI for a small architecture and design firm that specialized in several education sectors include university historic preservation, student housing, and social learning environments. Kerry has recently moved back to her home town of Boston, MA where she works for a large commercial architectural and design firm with a focus on higher education and biotechnology design solutions. As a full-time commercial designer for a large metro architecture firm, I strives to apply creative, yet functional solutions within a structure that are a positive reflection of an occupant's lifestyle. I am inspired by learning and understanding people's behaviors and personal needs in a residential application. Taking someone's space and turning it into the home they've always imagined is what motivates me to keep doing what I love most. 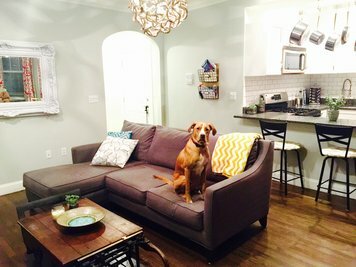 As a younger designer, and a first time home owner, my ideal project will always be finding those must have pieces of furniture, or that one pop of color, and turning your drab space into a work of art, and on a budget. My go to style is the soulful, shabby chic look. Reclaimed wood, elegant whites and neutrals, and a mix of modern and antique touches can really make your space have the transitional character that you always dreamed of.